As the first winery production facility built after the repeal of prohibition, Merryvale occupies a unique place in the history of Napa Valley and California wine history. Situated on Highway 29 in the beautiful St. Helena, the iconic building that houses Merryvale Vineyards has long been established as a premier winemaking facility. With roots dating back to the early days of fine wine production, Merryvale was the winemaking home to such luminaries as Robert and Peter Mondavi, the Christian Brothers, and H. William Harlan. Merryvale's proprietors, the Schlatters, are traditionalists with vision, committed to preserving the winery's rich past while forging a path of winemaking innovation. Alongside their young winemaker, Simon Faury, they have sharpened their focus on Bordeaux varieties, the wines for which Napa is most renowned. 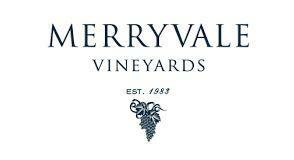 Founded on the principle that great wines are born in the vineyard, Merryvale Vineyards has a long-standing tradition of sourcing grapes from exceptional vineyards throughout the Napa Valley. The process for selecting vineyards that are worthy of the Merryvale Vineyard label is an intense, rigorous and exacted process. Careful attention is paid to microclimate, soils and sustainable vineyard management practices. Sites with unique aspects and characteristics coupled with our estate vineyard sources allow us to create rich, balanced and truly expressive Napa Valley wines. The commitment involved in growing grapes for Merryvale – specified by vineyard blocks or even row-by-row selections – result in wines with intense flavors and soft, supple tannin structure. Wine Spectator 90"Fresh and vibrant, with a full-bodied mix of tangerine, nectarine, peach and pear flavors that are intense, complex, layered and cleansing. This holds on to its core fruitiness. Drink now through 2013. 34,050 cases made."